Books Archive - Family Inc. The Family Inc. philosophy is based on proven corporate finance concepts modified to address your family’s personal financial planning needs. 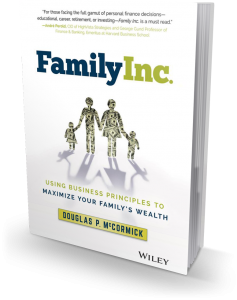 Take advantage of the best practices in financial management from Corporate America and elite business schools to maximize your family’s wealth.